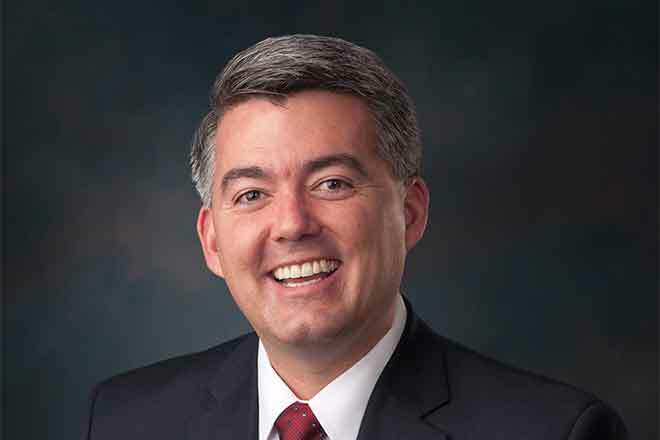 Senator Cory Gardner (R-CO) has voted in favor of an amendment to the Senate Energy and Water Development appropriations bill that prevents the Army Corps of Engineers from using funding to enforce the Waters of the United States (WOTUS) regulation. WOTUS, developed by the Environmental Protection Agency (EPA) and the Army Corps of Engineers, redefines and expands waters that are subject to Clean Water Act regulations, and has the potential to impact an additional 1 million acres and 170,000 miles of stream in Colorado. "A glaring example of the federal government's overreach, the WOTUS rule is an unconstitutional takeover of our local waters, which traditionally have been and should continue to be managed by states, local governments, and water districts," said Gardner. "The WOTUS rule unfairly burdens Colorado farmers and ranchers with endless red tape and unnecessary costs, and that's why I stand with them in firmly opposing it. Today's vote blocks the implementation of WOTUS, and I'll continue to work to protect the agriculture community in Colorado and throughout the country from the Obama Administration massive overreach."